The DSP BLACKROCK Mutual Fund people recently organised a Get together for Independent Financial Advisors of Bangalore in a star hotel. 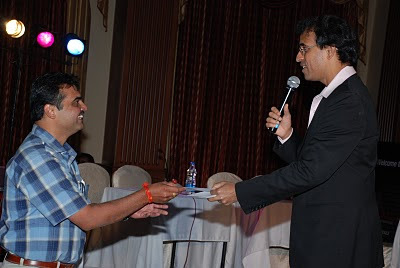 The programme was well organised and was hosted by the ever smiling Harsha Bhogle. Thankfully, the Quiz was not restricted to Mutual Funds but included topics ranging from Cricket, Movies to even Politics. 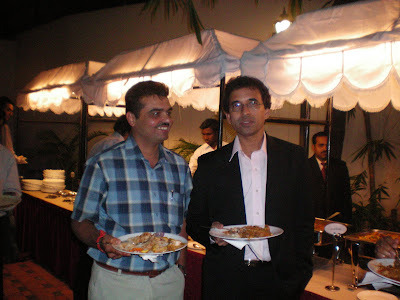 Harsha Bhogle ensured that there was never a dull moment. 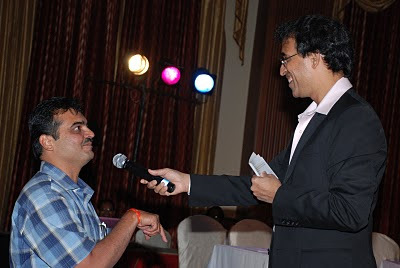 Yours Truly answered quite a few of the questions posed and Harsha even pulled my leg saying "anyone can answer this question expect Mr.Srikanth".